Melbourne Polytechnic's Certificate IV in Landscape Design is committed to plotting your landscape future. Take the next important step in your landscape construction or horticulture career and advance your skills with a focus on costing and design. Our Certificate IV in Landscape Design is tailored to develop your skills to create designs that will ensure you win the next job. Word of mouth plays an integral part in this industry and one satisfied customer will lead to many more. Learn how to draw a garden design and produce 2D architectural drawings using CAD software. Learn also, how to cost a project and present one. This course is a comprehensive landscape design course, which assumes you are already working in the industry. 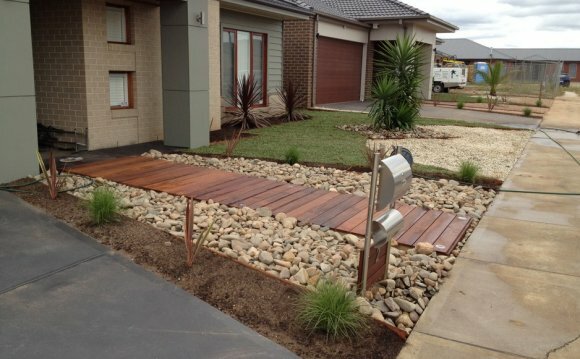 Melbourne Polytechnic’s industry-qualified and experienced teachers will guide you through your studies in Landscape Design. We use the latest technology to teach you the fundamentals, enabling you to be a leader in your trade. Graduates of the Certificate IV in Landscape Design may gain employment as a landscape designer, landscape manager or site foreman, run their own landscape design business or work as a consultant. A variety of assessment methods may be used to demonstrate the your competence. At the commencement of each unit, you will be given an outline of what is to be covered and how the unit will be assessed. Assessment methods may include practical application and demonstration of skills, oral presentations, written assignments, tests and projects, work-based projects, case studies, and log books.